The words child and chemo should not be uttered in the same sentence; yet any memoir written by a father about his five-year-old daughter’s cancer is going to attract readers. Through memoir, writers aim to make sense of what life dishes up, and what most puzzles us—in this case and for this author, the unspeakable situation of a kid with a lump—Wilms’ Tumor. Zoë’s tumor is diagnosed on the brink of the family’s move from Chicago to New York, where the author’s wife will be a psychology professor at NYU. Cooper is the writer/artist/house husband who shuttles the girls (Zoë and her younger sister Mia) to and from their schools and takes them out after school for hot chocolate or to the park to climb trees. He’s a good father. He has written a slew of children’s books. For twenty-two weeks that fall, every Friday, the parents take Zoë for her chemotherapy. That winter, when the treatment is almost over, the author and his family are at a holiday party, and he is caught off guard by seeing his daughter from across the room. “All I know is that tomorrow we will wake up and get dressed and eat breakfast. We will walk across the park to school, and in the afternoon we will go to the café and drink hot chocolate. Our bodies will take over and we will lose our minds in books and we will come home for dinner and laugh and take baths and read more books and tuck our children into bed and in the morning we will wake up and do it again. We will keep moving. Tomorrow and the tomorrow after that. The unavoidable velocity of a day.” Lines like these are welcome poetry. Given the overarching peril of cancer, Cooper naturally ponders human relationship to risk. Some parents might interpret a daughter’s diagnosis as a reason to sequester her, to keep her “safe” against all perceivable danger. But at what cost to their combined happiness? Cooper is not that parent. Cooper disagrees: “I thought the park rangers, and New York parents in general, had it backwards. I thought it unsafe not to climb trees. Unsafe to be safe. Parents’ anxiety actually increased children’s danger because children didn’t know how to fall. Children needed more risk, not less. I wanted my children to walk by themselves to school, know how to use a jack-knife, and fall out of trees and get back up.” These perspectives and his honesty in sharing them, endear him to readers. Sentence by sentence, Cooper’s prose is admirable, as is his willingness to be self-convicting, to include in the book instances where his own behavior was less than flattering. Some Amazon reviewers criticize Cooper for being angry throughout most of the memoir. They see this as a shortcoming of the book. Rather, his ability to carefully select and efficiently flesh out for readers the precise scenes where his anger is most rampant, is a strength of the book. It’s perfectly clear he’s angry not at those random people on whom he unleashes hostility; he’s angry at a world that includes such a thing as childhood cancer. Readers will be angry right along with him. That’s the whole point. The only criticism of the book is how little we actually learn about the girl in question: Zoë. He gives her only two pieces of actual dialogue, and a handful of times, paraphrases what she says. Readers come to know characters by hearing them speak and observing their actions and reactions. Zoë is this book’s heroine; we want to see her and hear her in her own voice. Dispensable would be some of the chapters wherein the author reminisces about his days of playing college football, anticipates the annual alumni game at Yale, or plays on an ultimate Frisbee team. 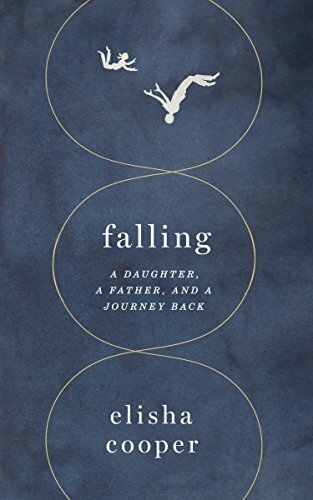 These sections do link in with the book’s title and the notion of “falling,” but they misdirect the reader. The memoir would benefit from more focus on Zoë, the kind we are treated to toward the end, at the trapeze class. Gorgeous, stunning portrait there, suspended. Bravo.